Here's an illustration I did a while back for Rudyard Kipling's The Elephant's Child. I might show you all the illustrations some day. 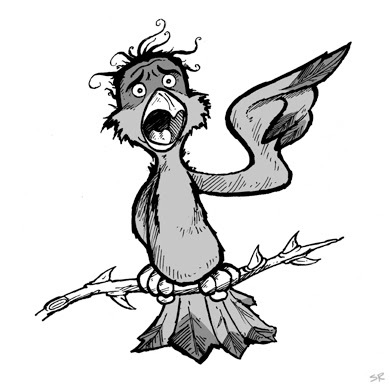 What exactly is a Kolo-kolo bird?